"Suffering is a sign you are about to be woken up again." This week we tackle a tiny little topic—enlightenment—with one of my all-time favorite authors and thinkers, Martha Beck. I have read all eight of Martha's books (two or three times each) as they helped me through some of my biggest transitions in life and work. I admire Martha for her tremendous courage. She's been through hell and back, from leaving the Mormon church despite getting death threats and her entire family disowning her, keeping her pregnancy after finding out her baby had Down Syndrome and her Harvard colleagues suggested otherwise, or following her body's signals to turn away from the academic life that was making her sick, and even saying no to Oprah when it didn't feel right to say yes. Martha is someone who blazes her own trails and has inspired me to do the same time and time again. I hope you enjoy this week's episode with one of my greatest author heroes. 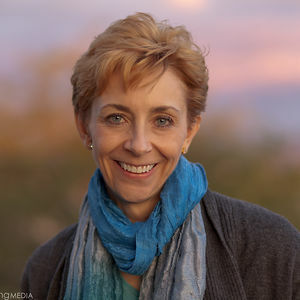 Martha Beck is the author of several memoirs and self-help books, some of which, to her continued astonishment, are best sellers, including Expecting Adam, Finding Your Own North Star, Steering By Starlight and Finding Your Way in a Wild New World. Her newest book, Diana, Herself: An Allegory of Awakening, is the first installment of her Bewilderment Chronicles trilogy, and is her first foray into fiction. You can also find her unique blend of wit and wisdom every month in O, The Oprah Magazine, as the resident life coach. How Martha defines enlightenment; it's not a rock but a river: "a current that flows through us when we allow it." Bewilderment: how to become your wilder, or essential, self; underlying biological self that knows what you want and what your life should be. How to tune into that. "Drop all socialization and become who you would be if you were raised without any strictures at all." "I don't tolerate suffering well. When I'm in enough pain, I'll do pretty much anything to stop hurting." Her near-death experience, and the message to move away from suffering of all kinds; unbelievable level of peace, joy and love. "I did not have the wherewithal to move away from that feeling ever again." Rare disorders that went away: "my body reacted with incredible speed and intensity when I did something that was wrong for me." It's not the body that throws a temper tantrum when we go the wrong way, it's our mind. "It's the most empirical thing you can do to say, What do you feel physically in your body right now? Anybody can do that." The body is the most level-headed and compassionate teacher. It is relentless and pitiless in showing you how to be happy. Body signals get stronger—how she responds when she notices the first signs of anxiety or distractedness before physical pain occurs. The Integrity Cleanse: never ever ever do something out of your integrity—even slightly out of your integrity. She's been doing this for 18 months. "The truth will set you free - and when you get to total truth it is magical." Example: saying no to go on The Oprah Show because she was in the midst of a gathering she created for friends, the purpose project. Even if it meant she would never be on the show again, she knew being on the show wouldn't have the intrinsic joy she has when headed straight toward her purpose. "I respectfully do not care (what you think)." Chaos theory and our adaptability to change: why does it cause so much anxiety for us?